If you learn one thing from FitWatch, I hope it’s this: there are no quick fixes when it comes to losing weight and getting fit. None. Zero. Nada. Zilch. Yet there’s a little part inside of us that wants the weight gone NOW. No, not even NOW. We want it gone YESTERDAY. And then that’s when we resort to desperate measures and try to find shortcuts. But shortcuts will have you going round in circles, not knowing which way to turn. Here are the top three worst weight loss shortcuts. Doing one of these is bad enough. But all three? That’s a recipe for disaster. It’s tempting to use this shortcut. You figure if you gain weight from overeating, then undereating is the way to go, right? Ah, not quite. Eating too few calories will not only leave you hungry, tired and cranky, but you’ll find yourself in the middle of Mickey D’s scoffing down a Big Mac and fries because your cravings will be out of control. Instead what you need to do is create a calorie deficit that’s safe and healthy – and doesn’t leave you hungry. You can use my calorie deficit calculator to find a daily calorie goal that’s right for you. Once you decide on a daily calorie goal, track your weight loss progress with the FitWatch Calorie Tracker and see how you hungry you feel with your initial calorie goal – and then make small adjustments. Raise the goal if you find you’re too hungry. If you’re a woman, don’t go below 1200 calories a day. For men, don’t go below 1800 calories a day. With this shortcut, you figure if exercise is supposed to be good for you, well, shucks, a lot of exercise should be even better. And you would be wrong. Not only do you run the risk of injuring yourself by overusing and overstraining your muscles and joints, but overtraining can be bad for your health. That doesn’t sound healthy at all, right? Instead of exercising too much all at once to lose weight, look at your current exercise program. Whether you’re a beginner or advanced, take a look at what you’re currently doing and gradually increase the duration, intensity or frequency of your exercise program. *For those who hate exercising, I realize the fact there’s such a thing as over-exercising is inconceivable. But let me tell you, there are people out there who over-exercise. I swear! 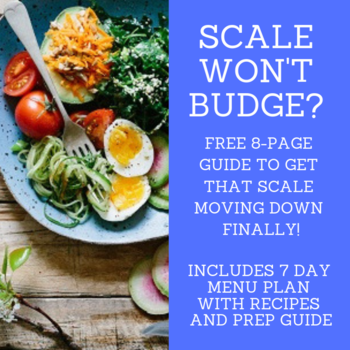 With this shortcut, some fad diet tells you how you can lose tons of weight by simply eliminating certain foods from your diet or by severely limiting carbs. Or you’re told to only eat certain foods (like grapefruit), thereby eliminating all other foods. This shortcut only seems to work because you’re actually eating – drumroll, please – less calories. But eliminating important foods or food groups from your diet can have severe consequences to your health. Sure, fruit is healthy. But a fruit only diet? Lacks protein and fat, and certain vitamins and minerals. Instead of eliminating foods or food groups, work with the foods you love and find a way to balance your diet. If you don’t have healthy eating habits to begin with, work your way towards eating healthier foods. You need a variety of fruits, vegetables, grains, fats and protein to keep your body healthy. You can’t live on Twinkies alone. Track the calories you eat with a free FitWatch tracker account to see how you’re balancing out your carbs, protein and fat. If you don’t know how to count calories, sign up for my free 28 Day Calorie Counting Boot Camp. The bottom line is that there are no quick fixes. 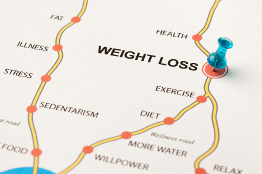 If you start using shortcuts, you run the risk of moving backwards on the road to your weight loss goals. You’ll mess up your metabolism, tire yourself out and feel discouraged with the lack of progress. Fitness is a lifelong commitment — and can sometimes be long road to walk. Make changes you can live with for the rest of your life. Take the straight and narrow road, and avoid the shortcuts. Want more weight loss do’s and don’ts? Log in to your FitWatch Tracker account to read “21 Weight Loss Dos & Don’ts.” You’ll find it in the Boot Camp section. Don’t have a tracker account? You can sign up for a free account here: FitWatch Calorie Tracker.